LEDs are the wave of the future for lighting. 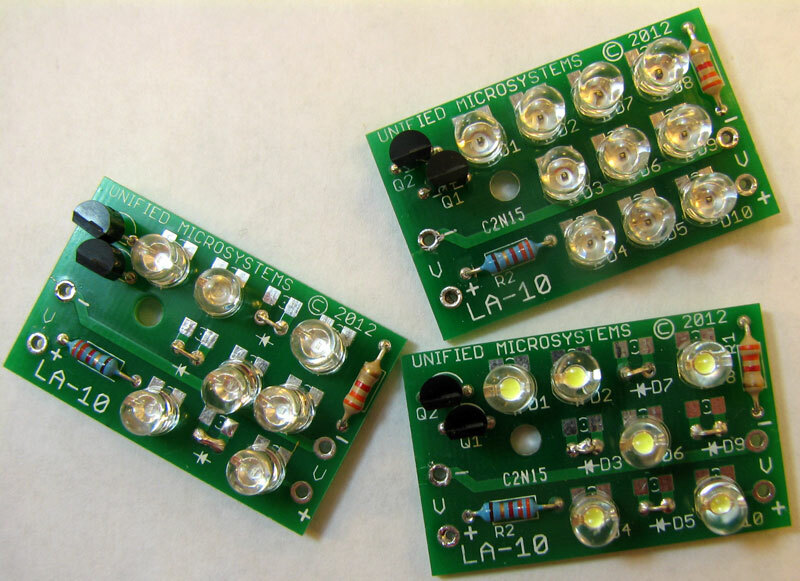 If you have a project needing a small LED array light source or want to experiment with LEDs, the LA-10 kit is a great start. LEDs should be driven with a constant current source. This prevents changes in the power source or component drift due to temperature or age from changing the drive current which can result in less light output or worse yet, destruction of the LEDs. You supply the LEDs in the color, package and light output just right for your project. A variety of current programming resistors are supplied that cover popular LED drive current levels between 10 and 30 ma. 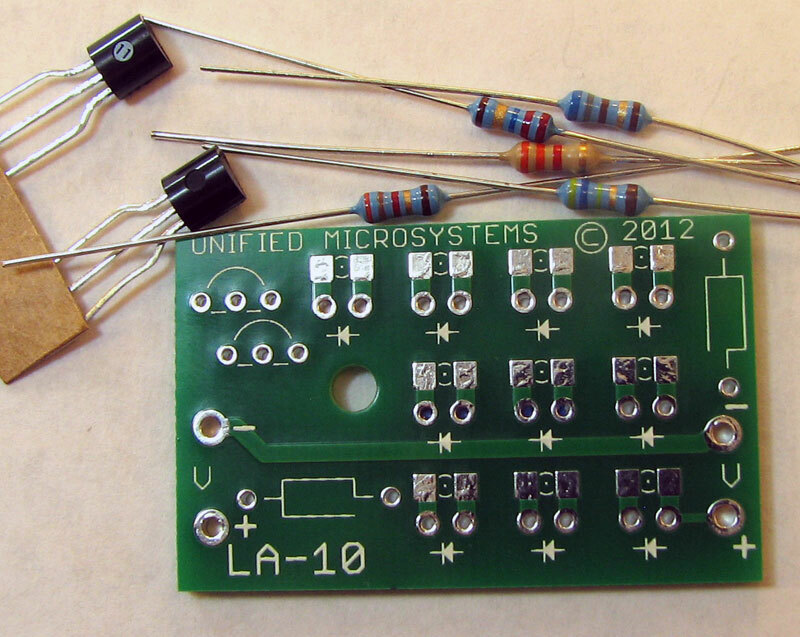 You can use your own resistor for other current limits. Pads are included for through hole and SMT LEDs. A variety of SMT LED packages can be hand soldered to the 1206 sized pads. * Actual number that can be used depends on the supply voltage and the selected LED's forward voltage drop. LA-10 Examples with different LEDs. LEDs not included in kits.